If you’re new to vaping, or looking at e-cigs as tool to help you on your quitting journey, chances are you may be a bit overwhelmed. Making the right choices when you first start vaping can mean the difference between sticking with it and avoiding it like the plague. Today we discuss some tricks of the trade to increase your chances of giving up smoking. E-juice flavors are an extremely important asset in any effort to quit cigarettes. Thankfully, online retailers have made easier than ever before to find that perfect e-liquid. Subscription services like Zamplebox allow users to create a profile, and a custom flavor profile specifically designed around the tastes and aromas they enjoy. Websites like ejuice.com offer a huge selection brands to choose from. It is important to have patience when searching for the right flavor. Often, one must try 5-15 different combinations before finding the perfect one. I always recommend starting with what you know, simple or not, and working your way outward; if you like peaches, try to find a flavor with peach used as a base. Equally as important as finding the right flavor, nicotine content can make or break your chances of quitting success. Most e-juices can be purchased in varying nic levels from 0-6mg (about 60% of the nicotine found in a traditional cigarette), and will work great for the ‘occasional smoker’. Vaping on 16mg e-juice will be equivalant to a traditional cigarette and would work great for the ‘everyday smoker’. However, it can be tough to find any liquid online with 16mg of nicotine. Enter Nic Salts, the high nic option for any smoker looking to quit through the use of e-cigs. Salts are a processed form of nicotine that allows for a high concentration while keeping the throat hit very low. Nic Salts are designed to be used in lower wattage devices, like pod systems and all-in-ones, and are normally available in Nic Concentrations of 30-50mg. Perfect for the beginner, All-In-One systems like the VooPoo Panda can work wonders. They allow users to satiate their nicotine cravings, often do not require re-filling (thanks to liquid pods), have stellar battery life (vaped at a fixed low wattage), have integrated coil heads, and are ultra portable — allowing vapers to take them virtually anywhere. For smokers looking to make the switch, nothing beats a pod system. I recommend purchasing a handful of all-in-ones to keep around the house, making them easily accessible no matter where you are. Keeping a spare charger or two handy will ensure that your vapes are always charged when you need them! If you’ve upgraded from your pod style system to a mod that utilizes the 18650 cell, having a fresh set of batteries is an absolute must. Only purchase authentic cells from a well known online retailer, if they don’t mention what grade batteries they’re selling don’t be afraid to ask. Much like smartphones, dead e-cigs are worthless. If you’ve been vaping for awhile, and recently made the switch to a box mod that utilizes one or two 18650 style batteries, make sure you have a quality charger readily available around the house. The Nitecore D4 quad bay system is perfect for any vaper. Your not looking for a quick charge here, it is more important for 18650s and other unprotected cells to be charged evenly. Vaping in the modern day has never been easier. A ton of tools are readily available for you to use, taking the guesswork completely out of the process. A well-rounded understanding of Ohm’s law and battery safety is a must for all novice vapers. However, for anyone new to the scene who may have just started their journey, a full understanding of how things work is not vital; especially if you’re using an all-in-one or pen style e-cig. 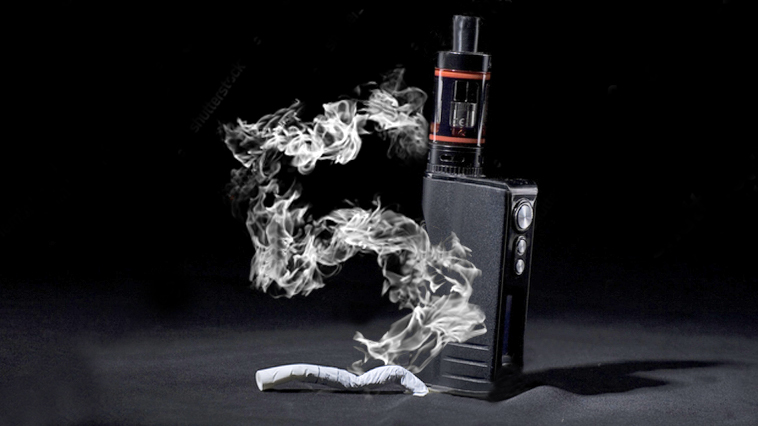 Steam Engine offers a wide variety of online vaping calculators, graphics of ideal (and safe…) wattage ranges can also be found through a simple google search. Social media platforms like Twitter and Instagram also have a fairly large community of vapers, and can be a great place to have your questions answered; it’s like getting vape shop advice without leaving the comfort of your home. Stay strong, don’t be afraid to try new things, ask questions often, and surround yourself with fellow vapers! By following these simple tips, you’ll be setting yourself up for quitting success. 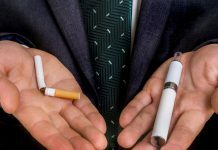 Next articleIs JUUL Making Moves to Wipe Out Vape Shops?